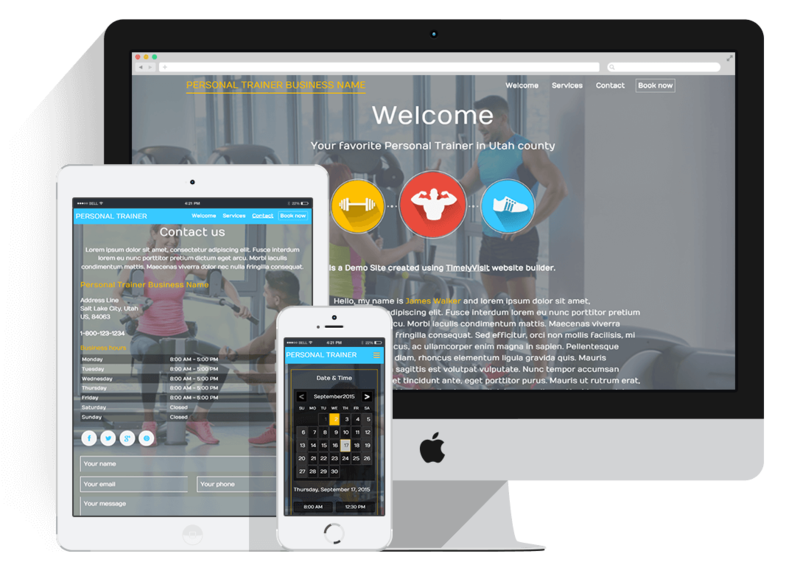 Choose themes specifically designed for fitness trainers. Whether you are a one person shop or have a full staff, your site will be professional and express the personality of your business. Clients book wherever they are — and select the service, staff member, and time that works for them. With an individual’s self-confidence being closely related to their weight in today’s day and age, the demand for personal trainers continues to be on the rise. With your own personal training website that offers online appointment scheduling, you now have the option to ensure that each visit with your client is personable, as you will no longer have to deal with the tedious task of scheduling your appointments. Motivate your clients to keep losing weight with reminders of upcoming appointments being sent via text message. Expand your client base with your own professional website.